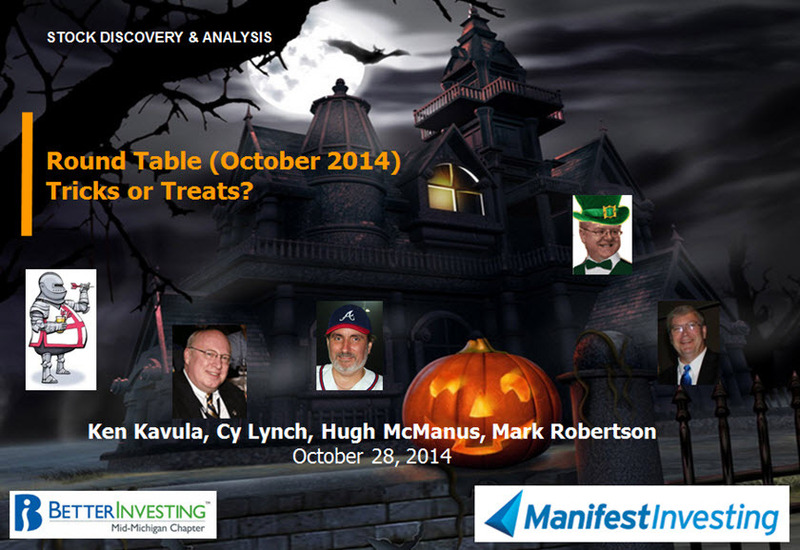 The October session of the Round Table is tonight. This is a FREE webcast where we name some favorites, perform some analysis, discuss market conditions and keep track of all selections made since inception about 4 1/2 years ago. The tracking portfolio leads the market with a positive relative return (vs. Wilshire 5000) of +0.6%. (The absolute return is 11.6% annualized) 50.6% of all decisions have outperformed the market since selection. We looked at $USHL last week, but we’ll keep a close eye on a break below +100 and we note that the long-term trend is still quite strong. Remain defensive, seek high-quality but it’s still business as usual for an investor with a long time horizon.